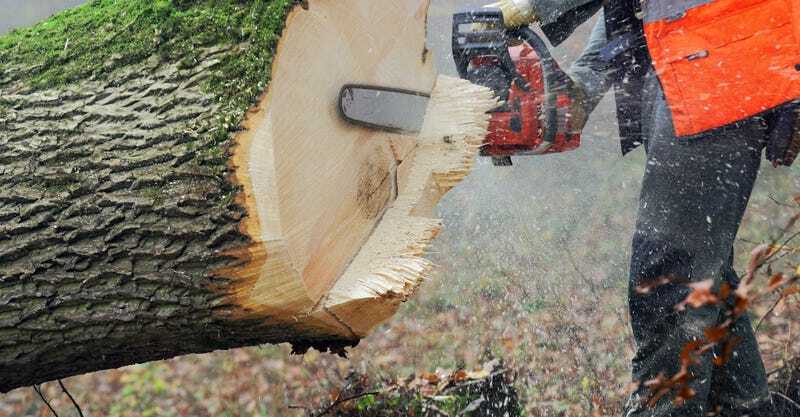 In what’s probably the most Canadian sentence I will ever write, the Edmonton Eskimos have successfully lobbied the Canadian Football League to restrict the Ottawa Redblacks from bringing along the loggersports team that traditionally saws off a celebratory log slice after touchdowns. The Grey Cup takes place this evening in Winnipeg, and Algonquin College’s logging team is already en route, but they will not get to do their thing (logging). This is understandable from Edmonton, but I have a proposal: just get a lumberjack team of your own! That would be quite the move, stealing your opponents’ gag. Instead of the deafening silence of someone not sawing a log segment off after a TD, you’d get an arms race of sawing prowess. Which would be a rather regionally specific way to commemorate the Grey Cup.